Hi guys! Seb is here, ready to post one more historical article… This time about a wacky Soviet project – a T-60 glider. Before I get to tell you more about it, I want to mention the fact that the Soviets had a history of deploying tankettes by air, but without crews. The interesting thing is that amphibious tanks were deployed too. Bad news is that they were armed with light machine guns and their thin armor of maximum 10 mm was easily penetrated by MG fire. As you can deduce, they were not that successful. If you want to know more about those light tankettes, you have links for them here: T-27, T37-A and T-38. Those tankettes were dropped by TB-3 bombers during the Soviet occupation of Bessarabia and Northern Bukovina in the summer of 1940. 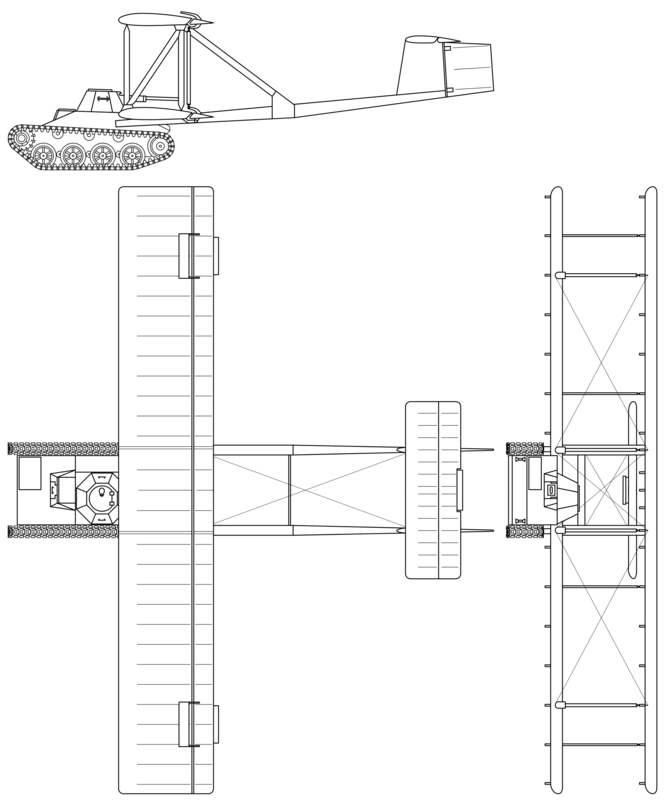 Now, imagine a manned T-60 (tank already included in WoT) with wings (and the rest of the frame). Pretty cool huh? 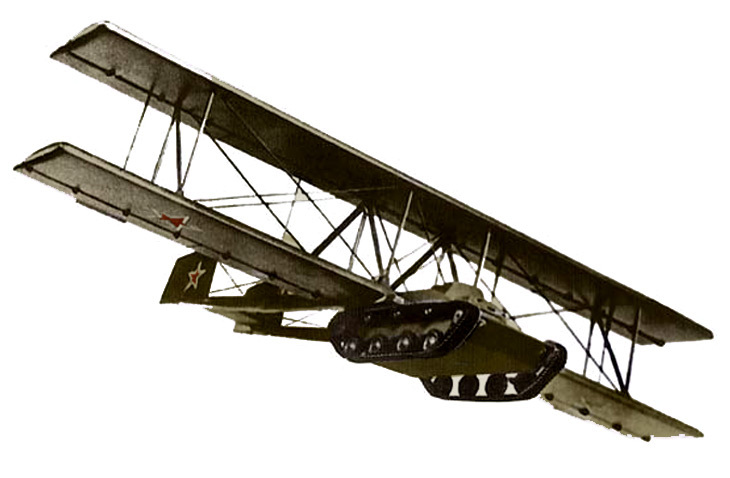 The A-40 (Krylya Tanka meaning, literally, Tank Wings) prototype, developed in 1942 and designed by Oleg Antonov was supposed to be carried by another bomber, most likely a TB-3 or Pe-8. The wings (light, mostly wooden) were designed to be ejected upon landing. Also, it’s weight was reduced for air use by removing armament, pieces of armor, ammunition, headlights and by keeping a very limited amount of fuel. It was meant to support the partisans and the paratroopers. The turns of the A-40 were supposed to be made with the help of the tank turret: moving it up and down would control pitch, while moving it left/right would bank the glider. Even with the weight reduced, the TB-3 bomber used to fly the prototype had to decouple the glider early due to the T-60’s poor aerodynamics (huge weight in the front) in order to avoid crashing. The T-60 landed safely on a field near the aerodrome and returned to its base, making the test a partial success. Due to the lack of powerful enough aircraft able to tow it, the project was canceled and never resumed(no, the act of parachuting tanks does not count). I guess that the project can be borrowed in both WoT and WT, but it needs a powerful post-war airplane able to carry it (B-52 I am looking at you). Interesting, the only glider tank I knew of was the Tetrarch. Although that was inside a glider and not the glider itself.